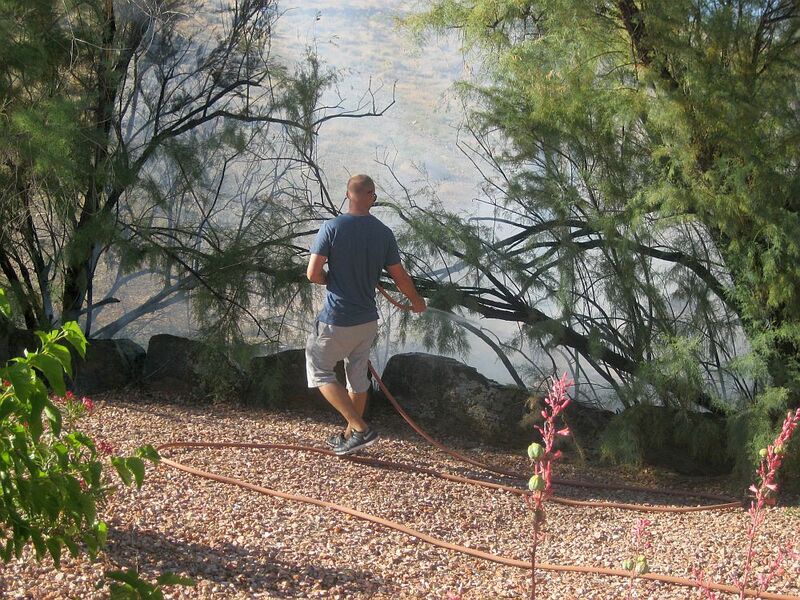 ST. GEORGE — A brush fire in a residential area off Tonaquint Drive Monday briefly threatened homes but was quickly brought under control thanks to a quick-thinking neighbor. Residents on Dover Drive had reported a brownout condition around 8:30 a.m. This apparently caused power lines behind the homes to spark, St. George Fire Chief Robert Stoker said, igniting a fire in the dry brush and tumbleweeds behind. Stoker said a quick-acting neighbor probably saved the houses. Stoker said three engines and two brush trucks were dispatched just before 8:45 a.m. and had the fire out in about 30 minutes. 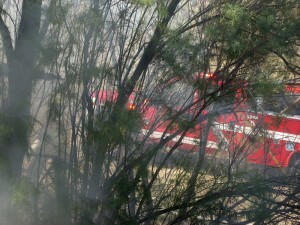 The fire burned about a half acre, Stoker said, and briefly threatened two homes. St. George City Department of Energy Services was dispatched to the area to check for any faulty or damaged power lines. 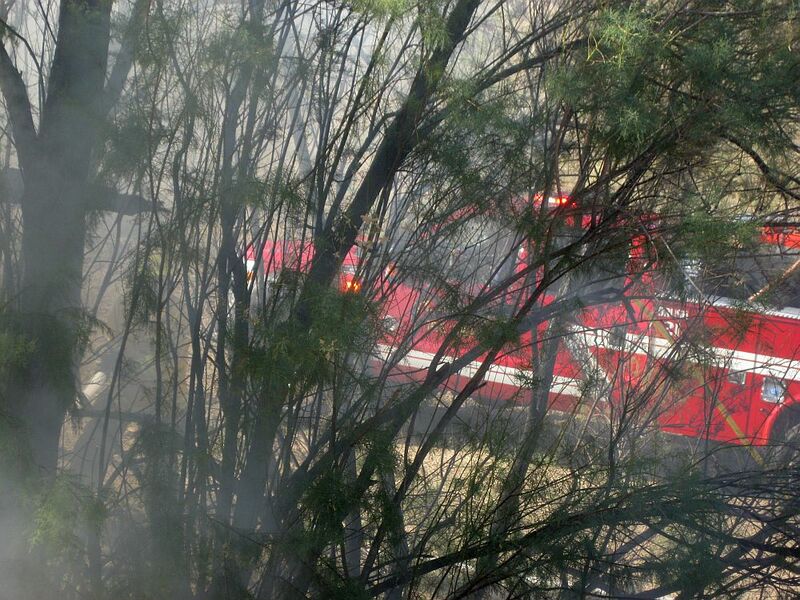 No injuries were reported, and no damage was reported to any of the homes. Maybe not the same area but very close…I’ve always worried about the open area just downwind of Creed’s Castle, up on the ridge.